A free kick not only changes a game, but turns it upside down. You can be getting run for the most part of the possession, and one set piece bomb can make it all better. If you're looking to become your teams dead ball specialist then you've come to the right place. 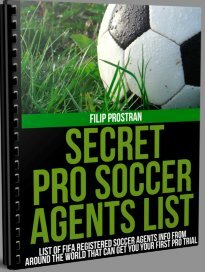 Pro's explaining it to you step by step and giving you tips to keep the keeper off balance. Using Placement for your shot is used as your set piece gets closer to the goal. Generally using the inside of your foot and ideal for when the ball is just outside the box or even a yard or two back will do. Up and over the wall is the name of the game. Striking the ball with Power (generally your laces) can also reap several benefits not only scoring obviously but deflections at high speed are difficult to handle as well as the keeper has to keep the shot secure and be careful of spilling rebounds. So which is it, A or B? Well it could be both, combining placement and power with a little dip can prove to be beneficial as well depending on where the set piece is being taken from. Just you versus the keeper, this is as much of a mental battle as it is a physical one. Don't cheat now keep, you'll be on GOLtv bright and early. Now it's on your shoulders Becks, lets see what you got. Who Should Take Free Kicks? Left Footed or Right Footed Players? So the answer is, it depends. Free kicks depend on several factors not just whose boots are the brightest or who has the best goal celebration. Most teams at the professional level have set players that take these kicks. Teams depend on these types of players to give them positive outcomes and goals from such areas of the pitch. Whether it’s a shot on net or dangerous service into the box these players must be masters of their craft. Over or Around the Wall? Again it depends. It all comes down to where the shot is from, how the wall is set up and where the goalie is standing. Whether it’s over or around pro’s who have mastered free kicks place a unique combination of power and placement on their shot. If the ball is placed perfectly but hit with no pace the goalie won’t need to leave his feet to get behind the ball. If it’s all power then you’re giving up so much accuracy the ball could end up on the freeway. Should I Shoot Goalie Side? You can. If you feel the goalie is cheating and anticipating you’re going to put it over the wall then go for it. Make sure it’s hit with some venom though; you don’t want to catch the keeper cheating then have them shuffle back over and catch your balloon of a shot in their hands. Why Doesn't the Defending Team Put Players On the Goal Line? Well it seems to the naked eye that this would be wise right? The wall on the goal line now has more time to react to the shot, the goalie can cover his side and the wall their side, everybody happy right? Wrong! The reason it is not done because that would keep every player from the opposing team on side and allow them to freely roam in the box before the shot. They would then be able to screen the goalie, deflect the shot and just cause havoc in the box prior and during the shot. Not only are their more opponents bodies in the box, their will also be players defending them so that makes close to 20 players in the box at one time. This would be causing sheer confusion for the defending keeper and team. Why are There Sometimes Free Kicks in the Box? Shouldn't This be a Penalty Shot? Sometimes a referee will give an indirect free kick inside of the box for fouls that were not direct scoring chances or other situations such as a pass back or goalie catching, dropping and catching the ball again. The attacking team is awarded posession of the ball from the place the foul was committed and the ball must be touched twice before it goes in. This can be off of a deflection, save or a teammate passing the ball to one another. Do They Always Need to Be Strikes on Net? Of course not. Although more often then not if a set piece is in and around the penalty box, direct strikes on net have the highest likely hood of being goals. That doesn’t mean that it’s a must, remember there are no absolutes in soccer. If a ball served into the box to an oncoming player is better then a strike on net in your opinion then go for it. -Repition, Repition, Repition. Reptition is the father or learning and you will never perfect your set pieces without at least 10,000 reps of it to become automatic. -Picture the ball going in the goal before you strike it, replay the ball going in in your head. 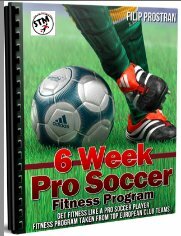 -Build a set routine and go through it every time before hitting a set piece, both in training and in the game. -Choose your spot, and go with it. Now you know everything you need to know about free kicks at the highest level. All that’s left is to go to the workshop and start crafting your own masterpiece.